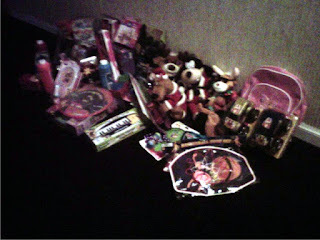 We got to take a huge tub of toys to The Option House in San Bernardino for Christmas. The Option House provides services for victims of domestic violence and their children. Thank You all so very much, I know we made some childrens' holiday a little bit brighter!! And the Passion Production reunion was a blast, thanks Hector! Happy New Year to all...Peace!